LOS ANGELES/PHILADELPHIA – ‘The City of Brotherly Love’s’ finest will be back home and ready to fight on Friday, May 7 when Danny Garcia and the Dargan brothers – Karl and Mike – step through the ropes at The Arena (formerly The New Alhambra) in Philadelphia in featured bouts on the next edition of TeleFutura’s “Sólo Boxeo Tecate”. In the 10 round main event, welterweight Danny “Swift” Garcia looks to keep his unbeaten record intact when he takes on veteran Christopher “Kid Kayo” Fernandez. The co-featured bout of the evening will see lightweight Karl “Dynamite” Dargan in a six round bout against Miami’s Jorge Ruiz, and in a junior middleweight battle scheduled for four rounds, Mike “Sharp” Dargan battles Jason Montgomery. 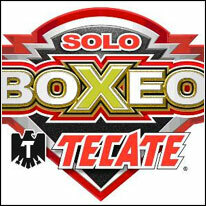 Garcia vs. Fernandez is presented by Golden Boy Promotions and Joe Hand Promotions and sponsored by Cerveza Tecate. Doors open at 7:00pm, the first bell rings at 7:30pm and the TeleFutura broadcast begins at 11:30pm ET/PT. Tickets, priced at $100, $65, and $45, are on sale now at The Arena Box Office and by calling 215-364-9000. Perhaps the top junior welterweight prospect in the game today, 22-year-old Danny Garcia (16-0, 10 KO’s) has passed all his tests since turning professional in 2007. He has gone 6-0 in since the beginning of 2009 with big wins over Pavel Miranda, Enrique Colin and Ashley Theopane. Now, he returns home on May 7 to dazzle his Philly fans once again. Salt Lake City’s Christopher Fernandez (18-9-1, 10 KO’s) has been the measuring stick to determine which of today’s top young fighters can graduate to the next level. Having already faced world champions Devon Alexander and Paulie Malignaggi, the 34-year-old “Kid Kayo” is looking for a win on May 7 and to show the world that Danny Garcia is not ready for prime time. Seen by many boxing insiders as a future world champion, Karl Dargan (7-0, 3 KO’s) is back in Philadelphia to show his hometown fans what he picked up while training in the camp of a current Welterweight World Champion Sugar Shane Mosley. One of the nation’s top amateurs for years, Dargan is staying busy and ready to make his move on the best at 135 pounds in 2010. In the opposite corner on Friday will be Miami veteran Jorge Ruiz (7-11-1). Back in action after a nearly five year layoff, 27-year-old Mike Dargan (1-1) is also returning from an intense training camps with future Hall of Famers, Bernard Hopkins and Mosley. Dargan has a renewed determination to make it to the top, and the junior middleweight standout is sure to be trouble for Hayward, California’s unbeaten Jason Montgomery (1-0). In off-TV action, Philadelphia will also be well represented by middleweight Latif Mundy (8-2, 3 KO’s) and debuting 154-pounder Julian Williams, who will take on Trenton, NJ’s Joshua Onyango (15-18-1, 9 KO’s) and Brockton, MA’s Antonio Fernandez (0-4) respectively. A cruiserweight four round bout will see unbeaten Reading, Pennsylvania prospect Julio Matthews (9-0, 5 KO’s) putting his perfect record on the line against an opponent to be named. Two light heavyweight bouts are on tap, with unbeaten Utica, NY native Andy Mejias (5-0, 1 KO) taking on Dover, Delaware’s Todd Eriksson (1-3-1, 1 KO), and Morristown, New Jersey’s Andre Espeut facing Philly battler Charles Hayward (2-2, 1 KO). Both fights are scheduled for four rounds. Opening the show will be a four round junior lightweight fight between New Jersey’s own Jose Ortiz (3-2, 1 KO) and Jason Sosa (2-0, 1 KO). For more information, please visit www.univision.net, www.goldenboypromotions.com, on Twitter at www.twitter.com/GoldenBoyBoxing or on Facebook at www.facebook.com/GoldenBoyBoxing.